Died: 27th April 1916 – at sea. Killed by mine explosion off Malta. Enlisted in the Navy: 15th September 1909. 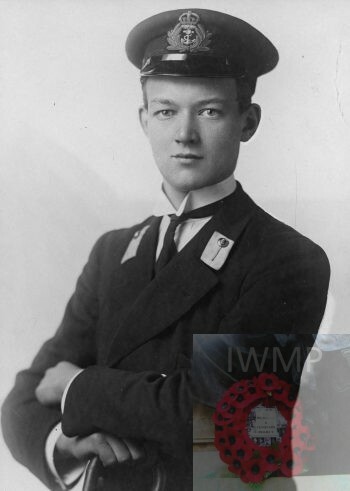 Rank: Midshipman; Regiment: Royal Navy, H.M.S. ‘Russell’. Brother to CHARLES REGINALD BOND. 1901 Mews House, Cantley, Norfolk. James was 4 years old and living with his parents & brothers. Henry Kendall Bond, 44, a Farmer – employer, born Ipswich. Evelyn Mary Smith Bond (nee Fielding), 33, born Shalden, Hampshire. Henry Fielding Bond, 8, born Sproughton, Suffolk. George Fairlie Bond, 6, born Somerton, Norfolk. John Vivian Bond, 5, born Martham, Norfolk. Charles Reginald Bond, 2, born Cantley, Norfolk. 1911 Royal Naval College, Osbourne, Whippingham, Isle of Wight. James was 14 years old, a Naval Cadet. He was 1 of 409 students – Captain The Hon. Horace Lambert Alexander Hood M.V.O. D.S.O. R.N.